Home > Opportunities > Host Traveling Exhibit, "Sanctuary: Design for Belonging"
Host Traveling Exhibit, "Sanctuary: Design for Belonging"
Design in Public and AIA Seattle have an exhibit that we created, Sanctuary: Design for Belonging, that is available to travel to other Design Centers beginning March 2019. Sanctuary presents design ideas from Displaced: Design for Inclusive Cities, a competition that sought game-changing design solutions addressing the global refugee and immigrant crisis in an urban context. 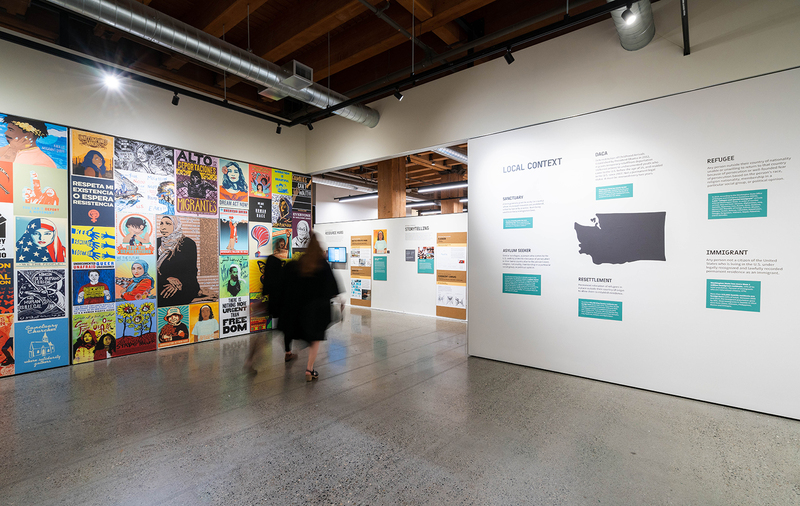 The exhibit also highlighted Washington State resources and organizations, and we have templates that can be used to incorporate localized information.